Let’s talk about Ink with Kylie. Today I want to talk about Ink! 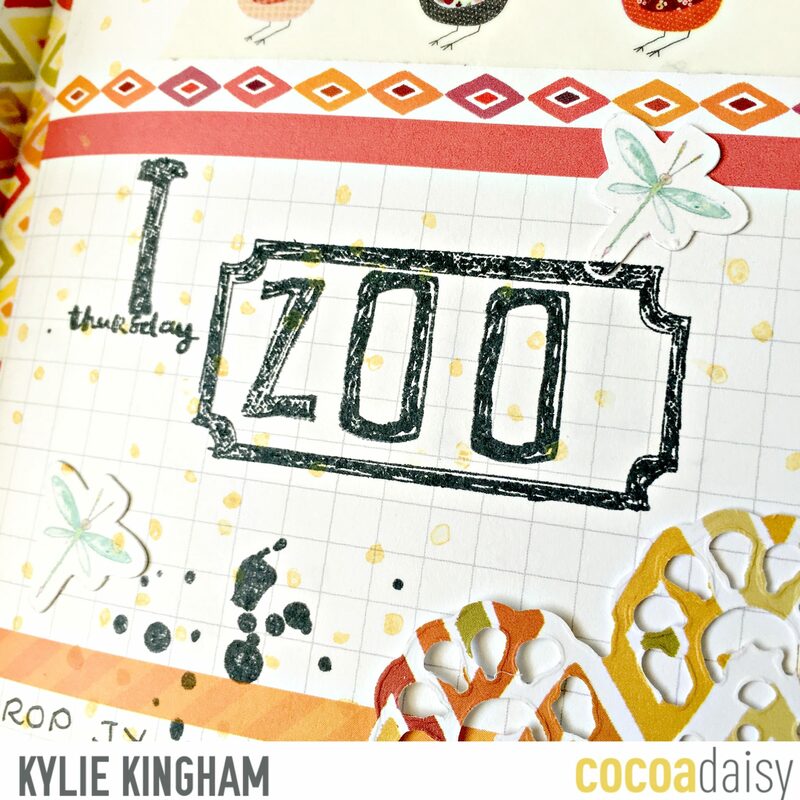 I am going to share with you my favourite Ink pads I use in my planning pages.Are you a stamper yourself?? 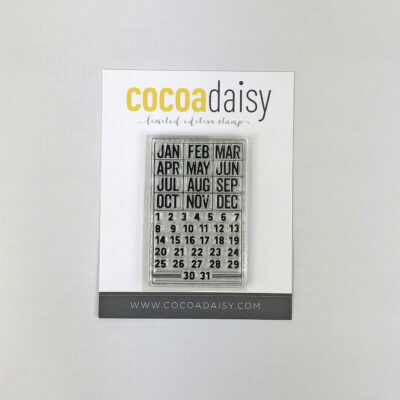 I LOVE the Cocoa Daisy stamps I receive each month and really enjoy bringing my planner pages to life with them.Many of you stamp for the practical reasons- adding dates and days etc.However if you are like me there is also a decorative reason you like to use stamps as well. 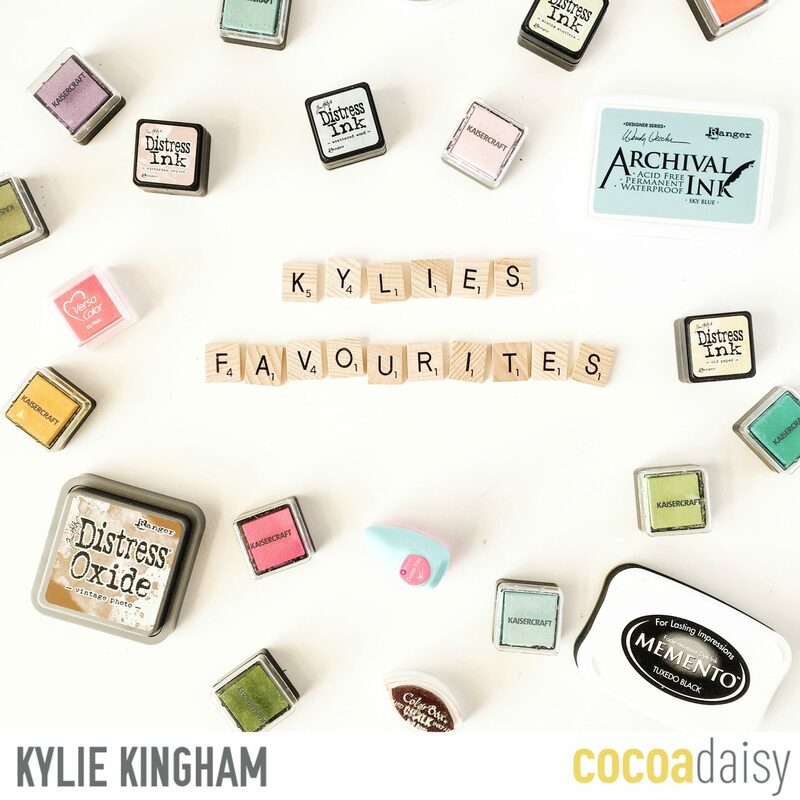 Before I begin I want you all to know that the Ink brands I am sharing are my favourites and therefore my opinion. I am by no means an expert but after many trials and failures these are the brands I keep coming back to.Many of you may agree with me and many of you may disagree with me….That’s cool too! You may have your own favourite you could share with me, I’d love to know. 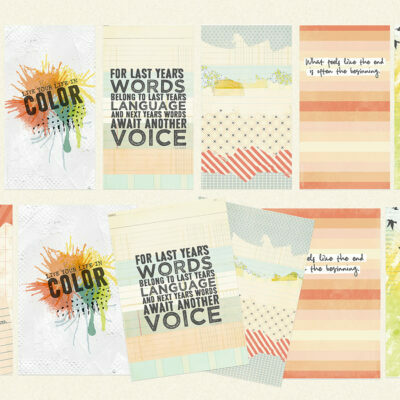 But for those of you who are new to stamping and need a base to start from, this info may help you get started! 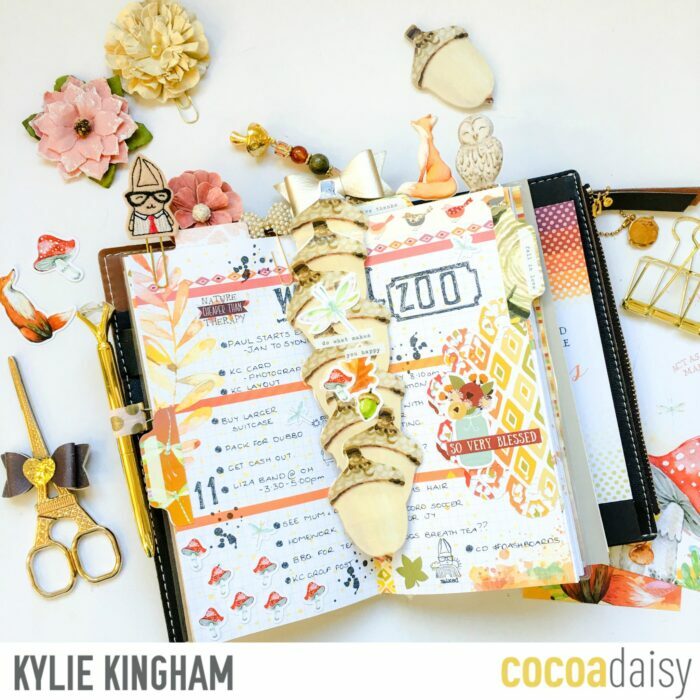 Let’s start with a commonly asked question!- ‘Will the ink bleed through my Cocoa Daisy planner pages?’ The quality of paper used for the planner pages and all sized Dori’s is outstanding, and to date I have never had an issue with the ink pads I use. 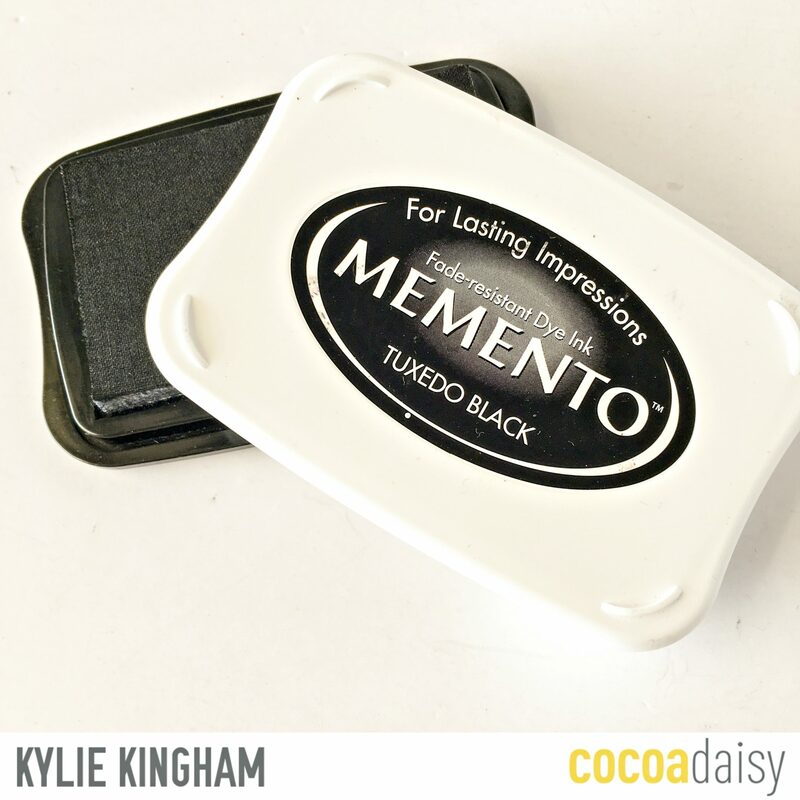 I want to start with the ‘Black’ ink pad I favour.I use the ‘Memento’ brand in ‘Tuxedo Black’.I have tried SO many different black inks but for me this comes out as a winner. Combined with the Cocoa Daisy stamps you will have a lovely sharp and crisp ink to your page that is fade resistant and dries super fast.Another reason I love this ink is that it does not gunk up or stain my stamps. It cleans really easily off my stamps with just a baby wipe and no residue left over. YAY! 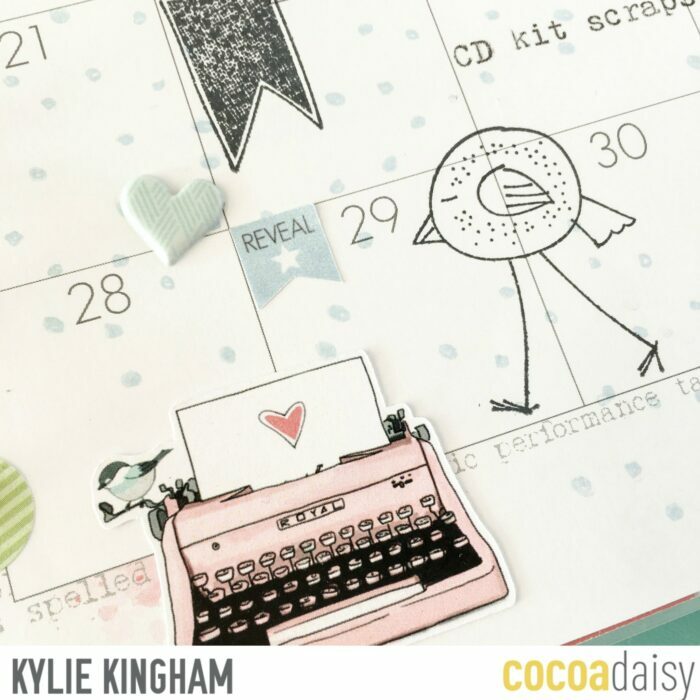 Thanks to its boldness it makes it the perfect ink pad for adding your dates,days,important events or anything you want to stand out on your page, WITHOUT the risk of it bleeding through to the other side of your planner pages..
What I mean by ‘background’ stamp is shown in the previous photo.I love using the confetti stamp from a previous kit as a background.You can also see the subtleness of the Kaisercraft Ink behind the black ink. 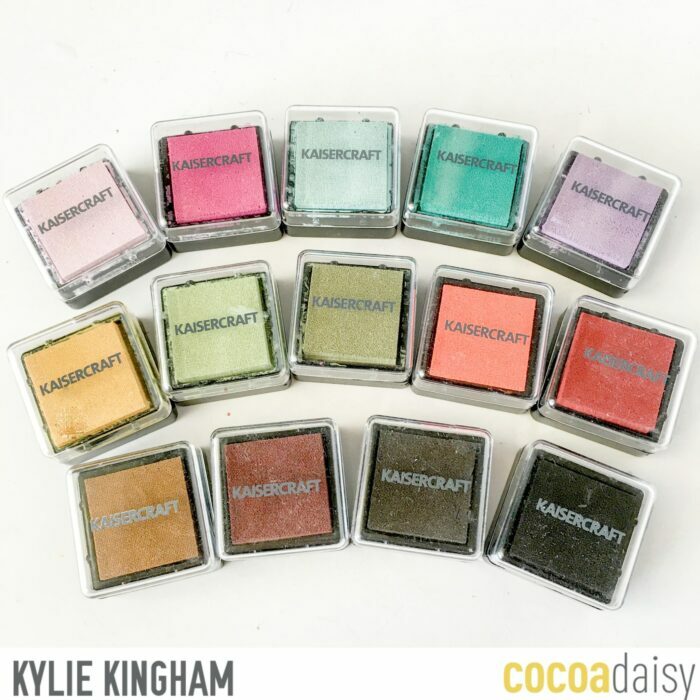 These too don’t stain my stamps and I love the colour range offered! Being a cute little size they stack and store really well too. 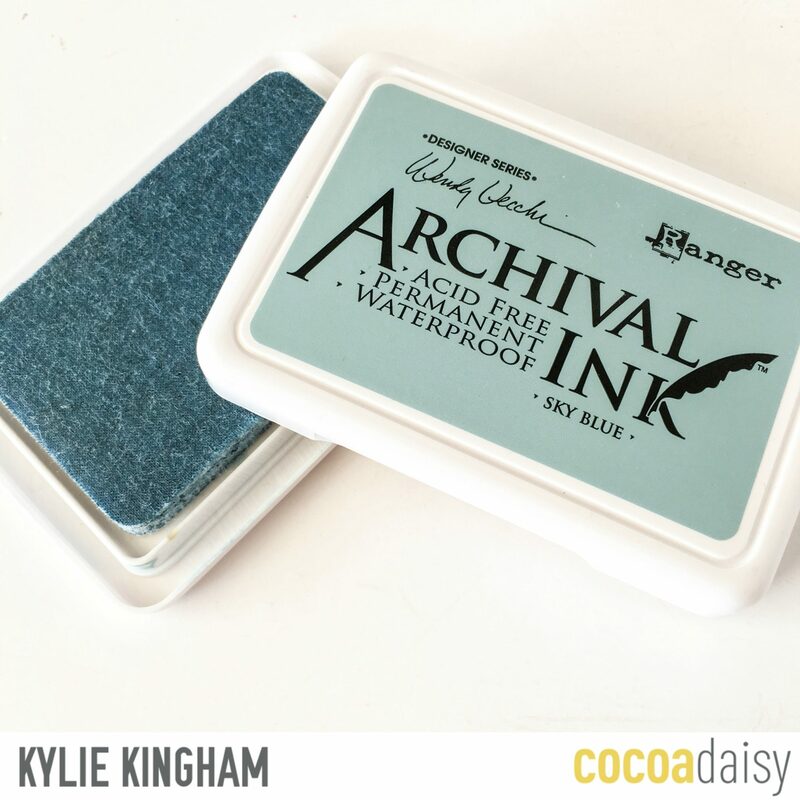 The Ink I use most for my background stamping would be the Ranger “Archival Ink”. 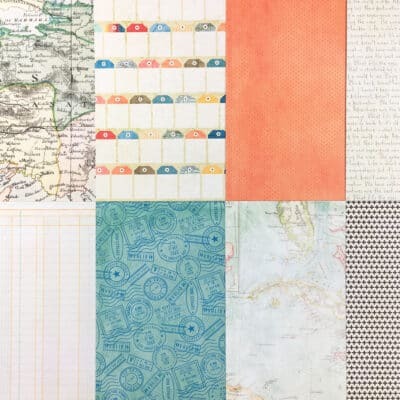 I LOVE the soft watercolour effect this gives and it doesn’t seem to ‘take over’ the page if you stamp a lot. I only use this as a background stamp since it does have such a soft effect and it comes in an awesome range of colours too! My favourite shade is ‘SKY BLUE’. Another Ink I quite often use for background stamping is the Ranger Distress Inks and Oxides.Again they give a great lasting but subtle effect to your pages. 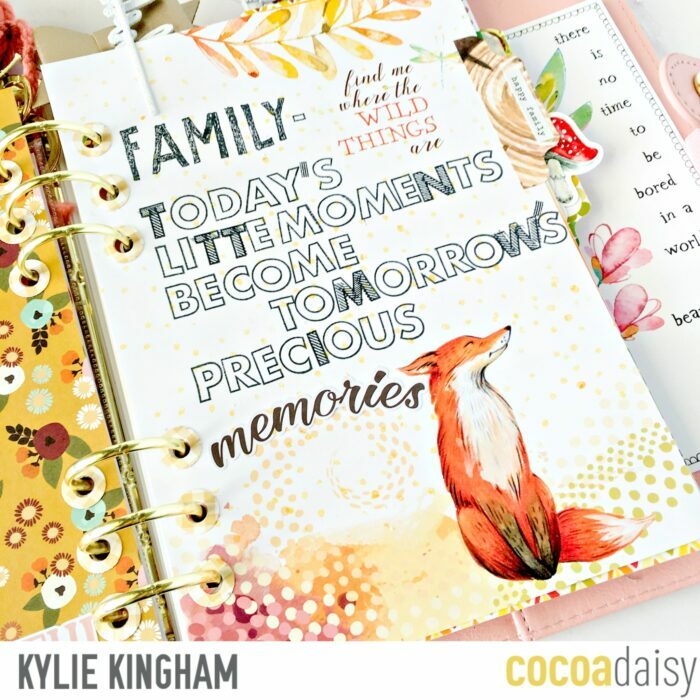 I hope my insight into these inks today helps you or inspires you to get stamping a little more in your planners. 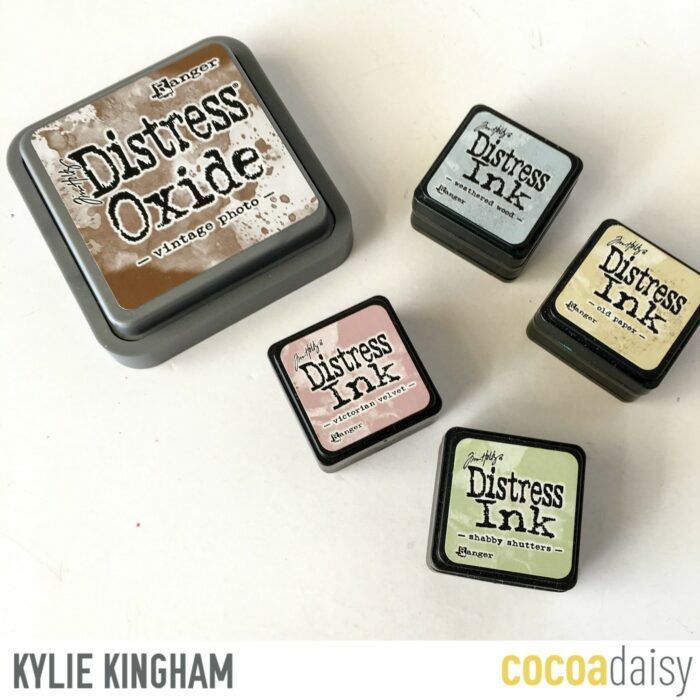 It all comes down to the effect you are after to help decide which ink pads suit your style better, but hopefully I have given you a place to get started and an idea of products to sample for yourself. 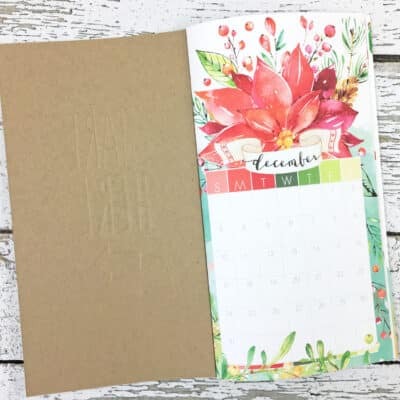 We’d love to see your planning and stamping too! Come join our friendly,inspiring and helpful Facebook group here. It’s a great place to source and share ideas and keep up to date with all the Cocoa Daisy news. 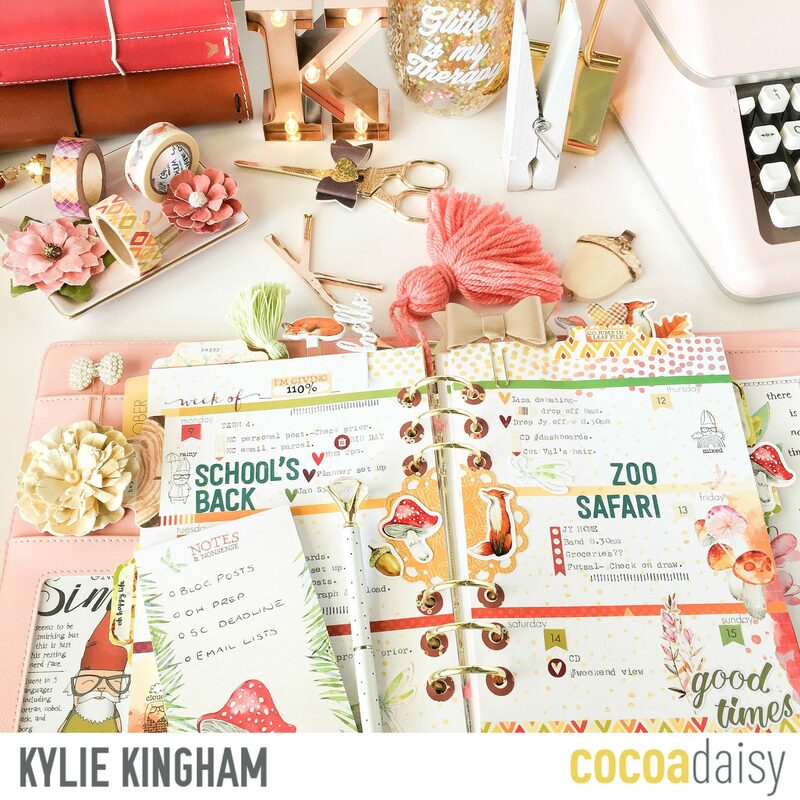 Your planner spreads are always so inspiring, Kylie! This is a great post and I learned lots. Thanks for sharing! That’s so lovely of you to say Donna. Thankyou! I’m so glad you enjoyed it! Thank you so much, Kylie! 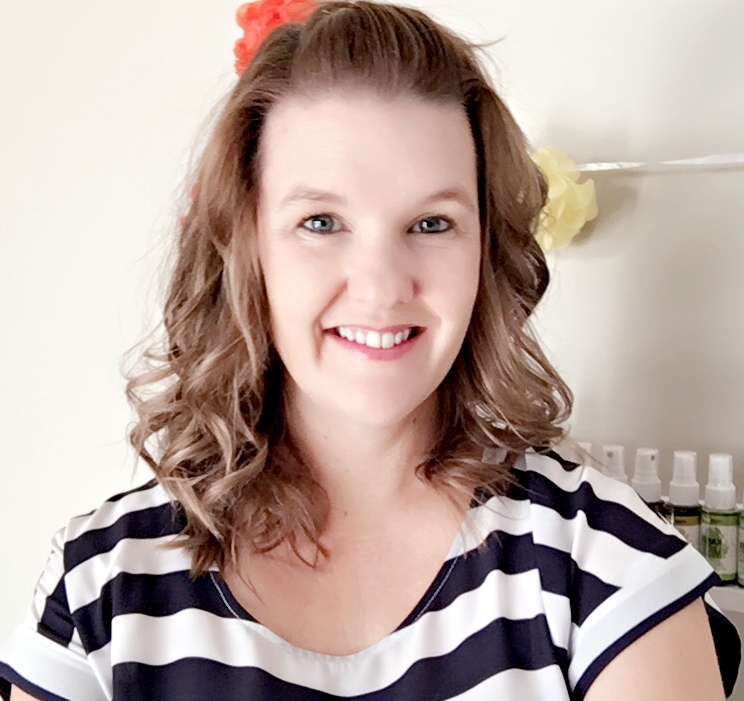 Love your blogpost!